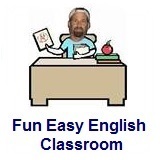 ﻿ Fun Easy English - new classroom free online classes english language lessons speaking listening writing reading december 6. Today in the classroom you are going to learn some slang beginning with the letter Z. 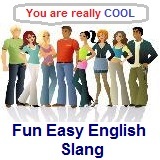 Today learn slang beginning with the letter Z. A zero is basically an unimportant person. The meaning is very strong in the following video. Video: Yeah Yeah Yeahs "Zero"
Yeah Yeah Yeahs are an American indie rock band formed in New York City in 2000. This is their song "Zero" with lyrics written in English. Lyrics: Yeah Yeah Yeahs "Zero"
Was it the cure? What's your name?